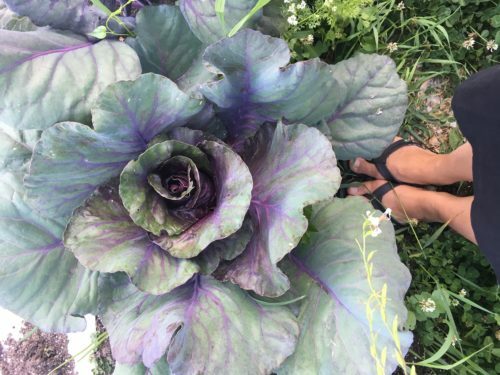 I’ve heard a lot of debate that you can’t grow vegetable protein in short season climates. This makes sense because it takes a long time for bush or pole beans to grow into string beans, then beans, the have them ripen on the pod. This means long summers and no rain towards the end of the season so they can dry on the pod. 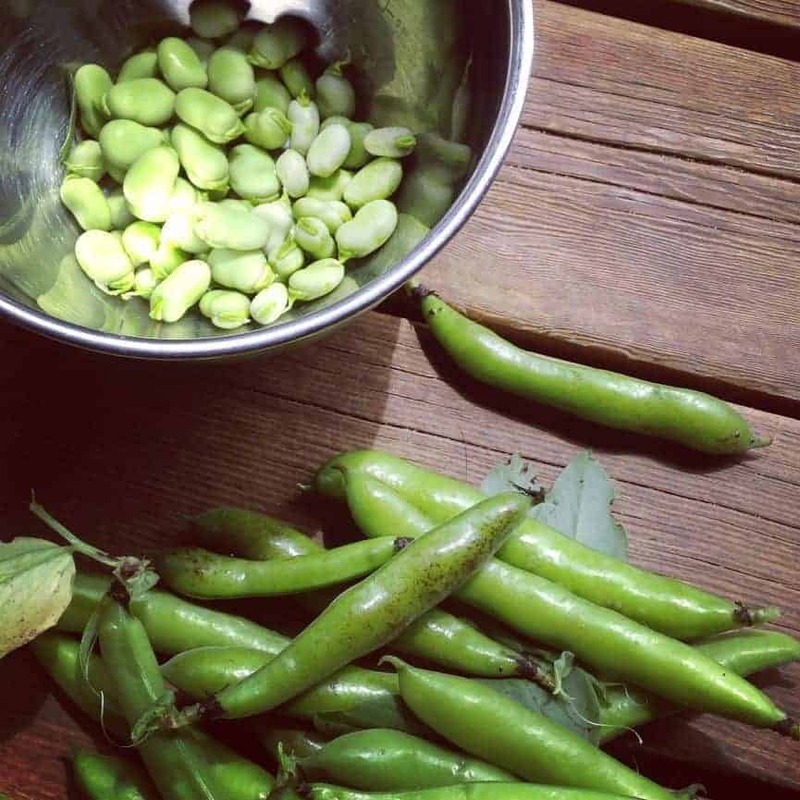 Fresh shelling beans such as Edamame can often take over 80-100 days to maturity and need heat to grow. This results in short season climates relying on meat protein because grass grows easily and animals can be grass fed or given hay during the winter months. 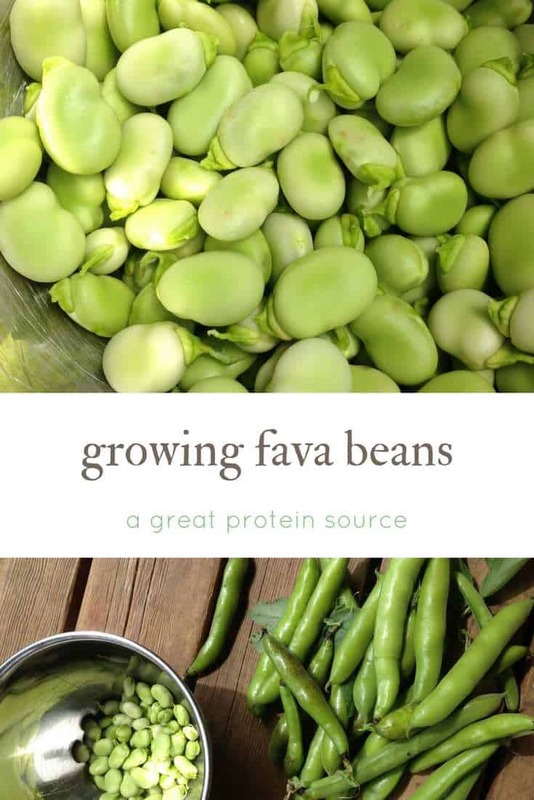 However there’s one vegetable protein source that’s often overlooked: Fava beans (also called Broad Beans). 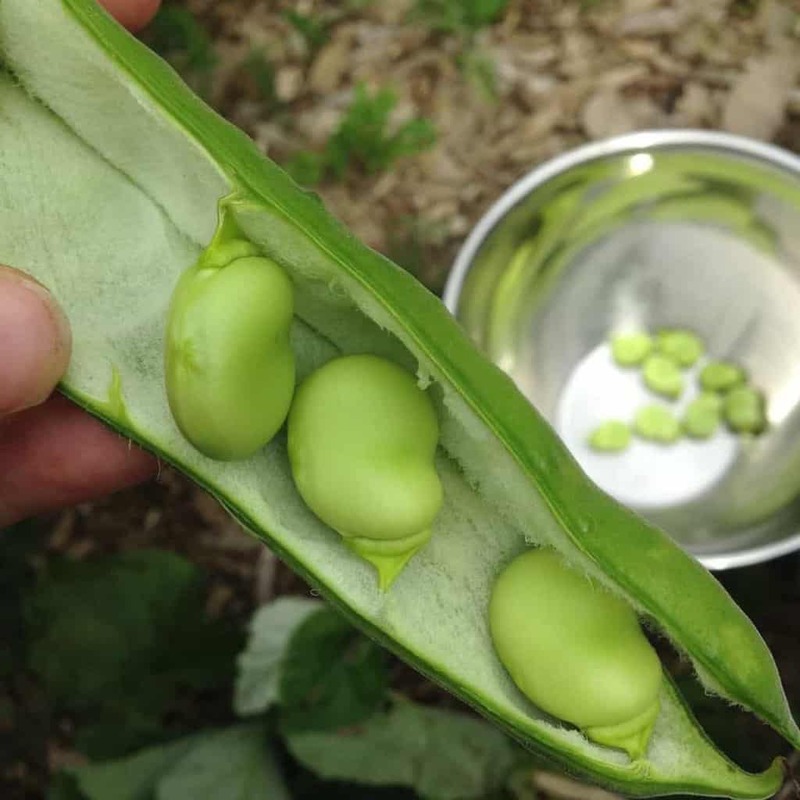 Fava beans love cool weather, grow fast in the spring, and are ready by mid-summer. They can can even be overwintered in warmer growing zones. 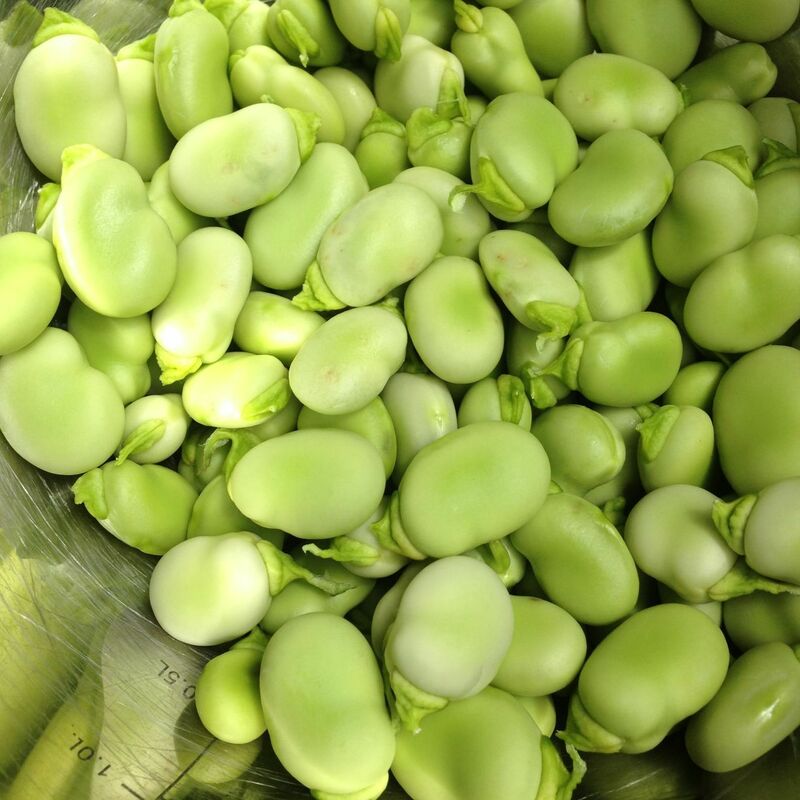 Fava Beans have no cholesterol, very low-fat content, and are high in protein which makes them great to grow. Like other legumes they help to restore the soil and have large roots full of bacteria nodules to increase soil microorganisms. 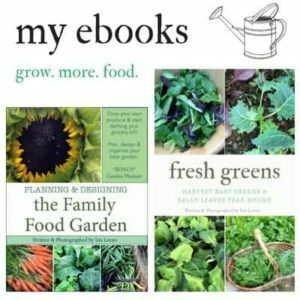 They are often used as a cover crop, green manure, as well as a nitrogen fixer. Plant in fall to overwinter and create fresh organic matter or to get a head start on early protein for next season. Direct sow October/November in mild winter areas. Direct sow February to May in other areas. Tall, soft plants won’t withstand winter well. Optimal soil temperature for germination: 10-21°C (50-70°F). 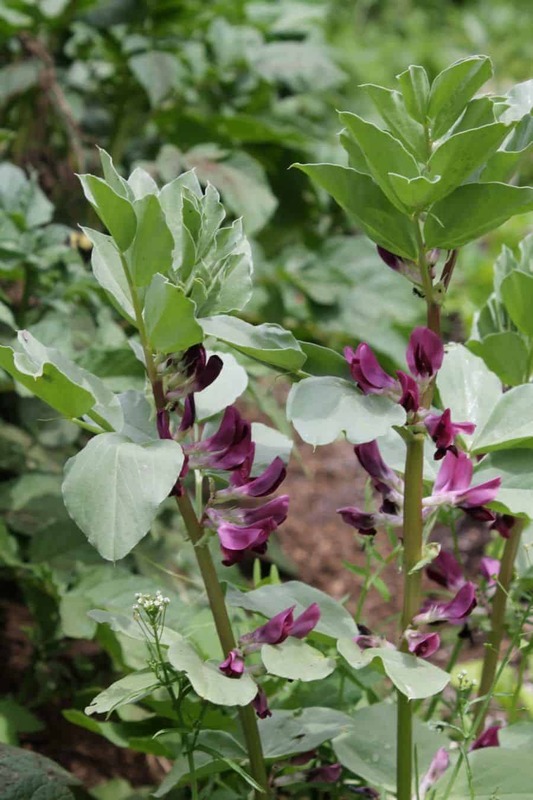 Use a broad bean or combination inoculant to provide a source of nitrogen. Sow seed 5cm (2″) deep, 15cm (6″) apart in double rows 23cm (9″) apart. Germination takes 10-14 days, depending on conditions. Ideal pH: 6.0-6.5. 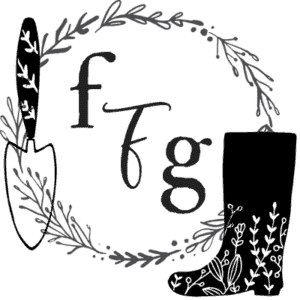 Enrich the soil with compost prior to planting. Keep overwintered plants weeded. Provide stakes or strings between rows to stop plants from falling over. Pick when the pods appear plump and begin to droop from the weight of the seeds. Shell (like peas) and cook or use in soup. For dried beans, wait until the pods start to shrivel. Caution: some people are highly allergic to broad beans. When black aphids appear in May/June pinch off the growing tips on which the aphids feed. Spray the plants with blasts of water to dislodge remaining aphids. Excellent for fixing nitrogen in the soil. Avoid planting broad beans near onions. Most people take off the outer skin of fava beans as they taste better. For years I’d boil them, strain them and take off that outer layer by hand. Then I found out you can save the stovetop hassle by freezing them instead using this method.